This was actually a cyber Monday treat that just arrived in the mail today. BH Cosmetics was having a sale where this palette was $8.95 + I found a 10% off code and I got back 15% through ebates. This is a limited edition palette, so when I was able to get it for that price I was very happy! 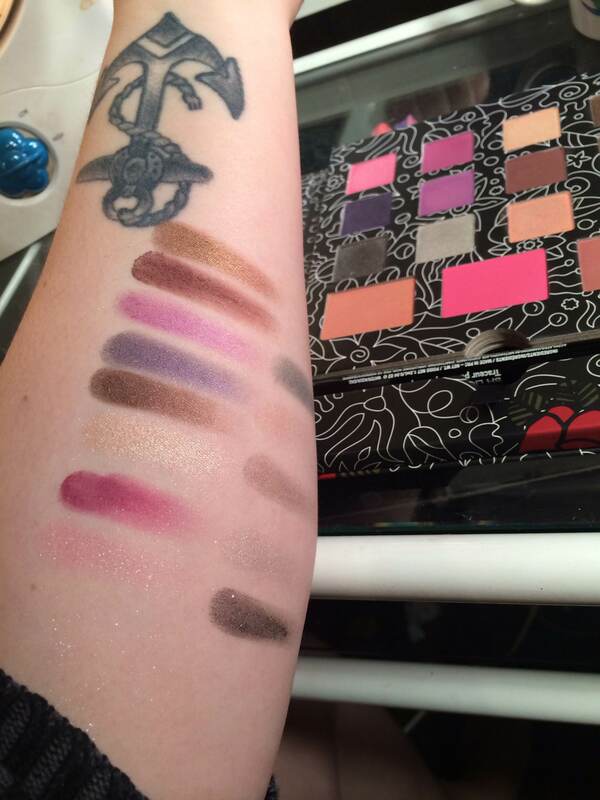 I love BH Cosmetics to begin with, and everything about this palette is so alluring to me. 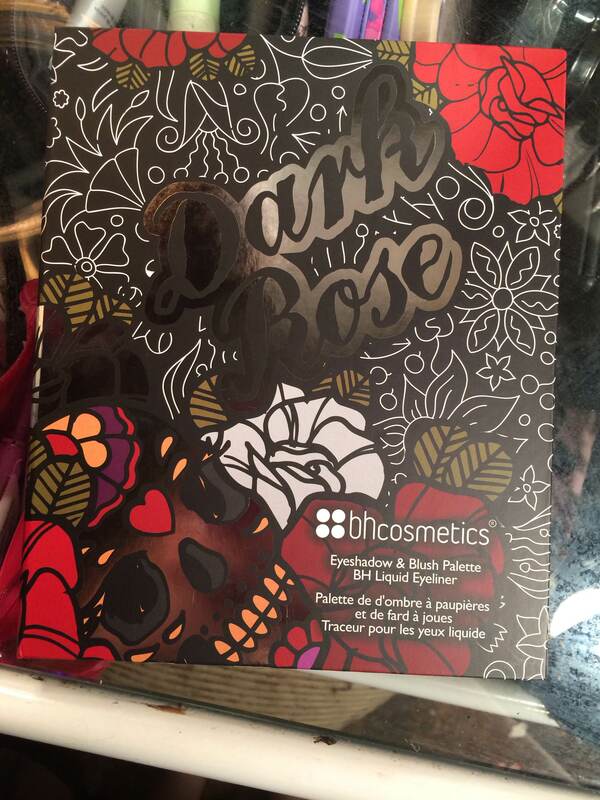 The colors and the packaging…it looked perfect. Shipping was a bit delayed for BH Cosmetics, but they did say on the website before ordering that shipping could be delayed, and that was fine. However, when this came in the mail I seriously opened it up before anything else and immediately started admiring it and playing around with it. The inside is so beautiful! 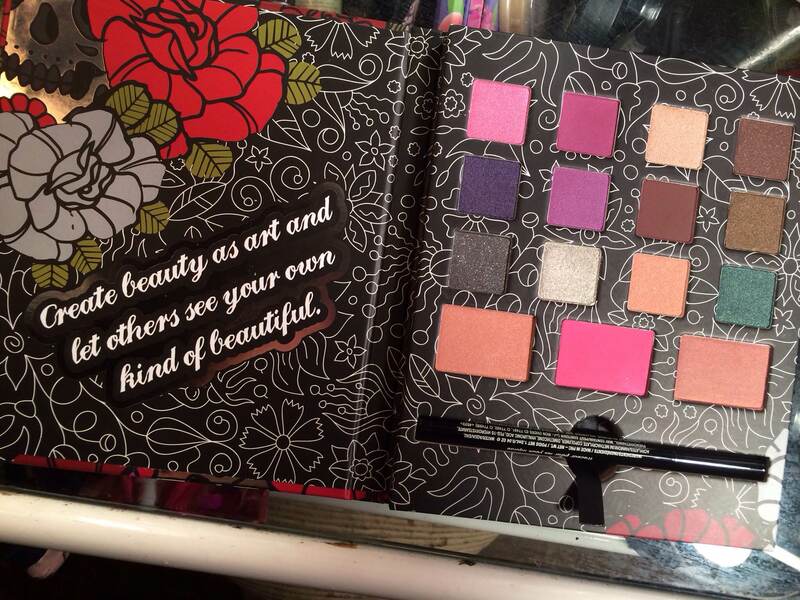 This palette is pretty big, and there’s a pretty decent amount of product in it. There are 12 eyeshadow colors, 3 blushes, and 1 liquid eyeliner that come in this set. I was excited that this came with a liquid felt tip liner instead of a pencil. I tend to just throw pencils away or gift them. 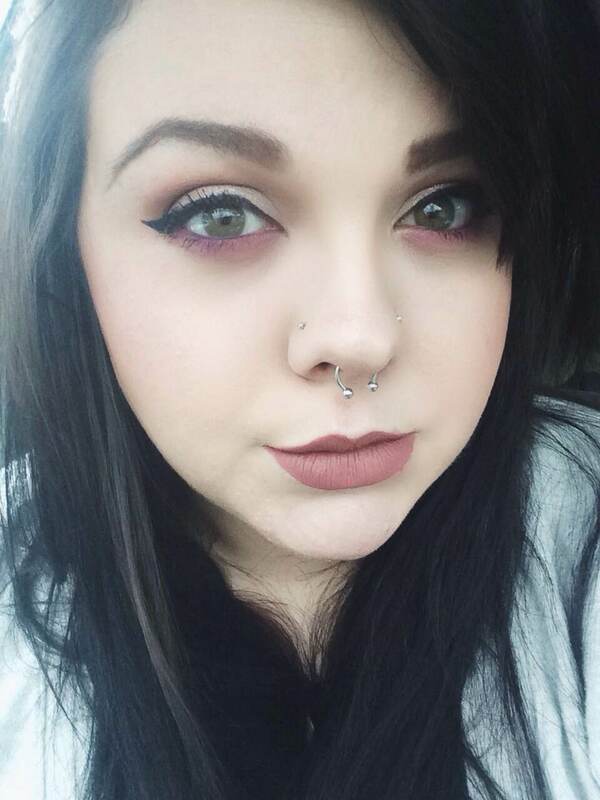 I’m a liquid/gel liner kind of gal. These are swatches of all 12 eyeshadows. The glittery ones aren’t as pigmented, but for the most part they are all very smooth and pigmented! Very impressed with the quality of these shadows. I’ve had my eye on this palette since it came out, but didn’t buy it in fear that the colors might have been too random. However, once I saw the review that Dani from CoffeebreakwithDani did and the look she created I was sold, and from there I knew that it would go on sale. EVERYTHING on BH Cosmetics eventually goes on sale for 50% off or more…just wait. That’s my friendly brand tip of the day. Anyway, once I started playing around with these colors on my eyes (one look for one eye and another on the other eye, duh) I realized all of these colors truly do compliment each other, strangely enough. I absolutely love the brown shades and plum shades in this palette. 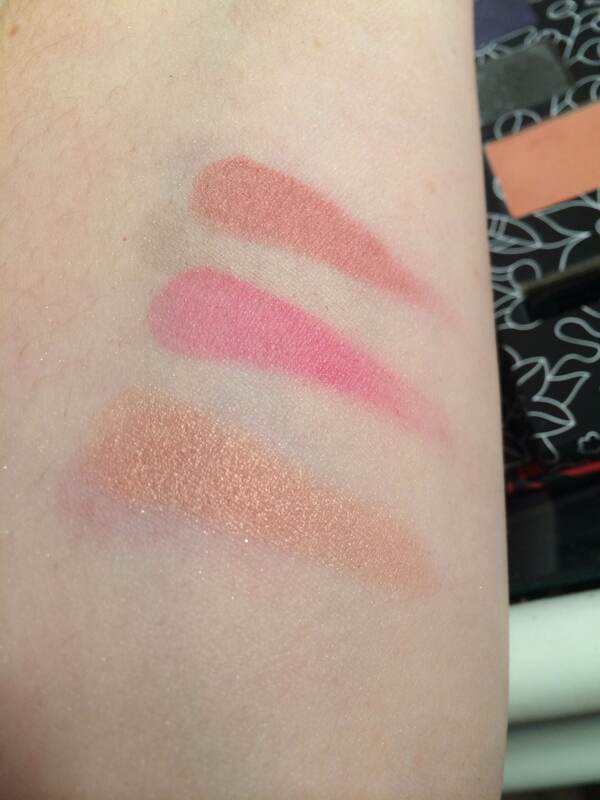 These are the swatches of the 3 blushes that come in the palette. I love that there are both warm and cool options in terms of blushes. I wear cool toned blushes myself most days, so the third mauve type color will probably be the one that gets the most usage from me! They really are! The colors are magical together.